Adam and I have been having the "so what do you think you want" conversation for a couple of weeks. I have always been really bad at specific gift giving ideas. I never know if I'm asking for too much, or not enough, or being too practical, or not being practical enough. and c) really wants to make sure that whatever I get is something I'll really like and enjoy. I did decide on something and hopefully he'll be able to deliver. This week, we've been discussing how I'd like to spend the day. Brunch was a given. I love brunch. Adam made the reservation and has promised to take the bulk of the toddler handling during the meal (but let's be honest, no matter whose "day" it is, that's a two man job right now). Now he's letting me decide how I'd like to spend the rest of the day. Do I want a "day off" where I can go out and relax? Do I want to do something as a family? It feels weird to say "Here's a day that I get for having kids. So I want to be left alone". (I mean, I do want that. I'm not going to lie. Alone time is a beautiful thing right now. I don't know why exactly that makes me feel guilty, but it does). You know what I really want? 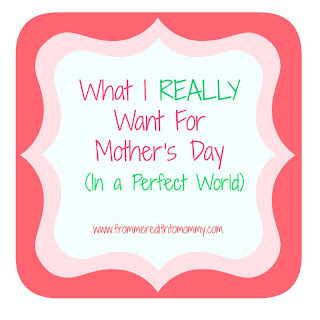 What I think a lot of moms want? 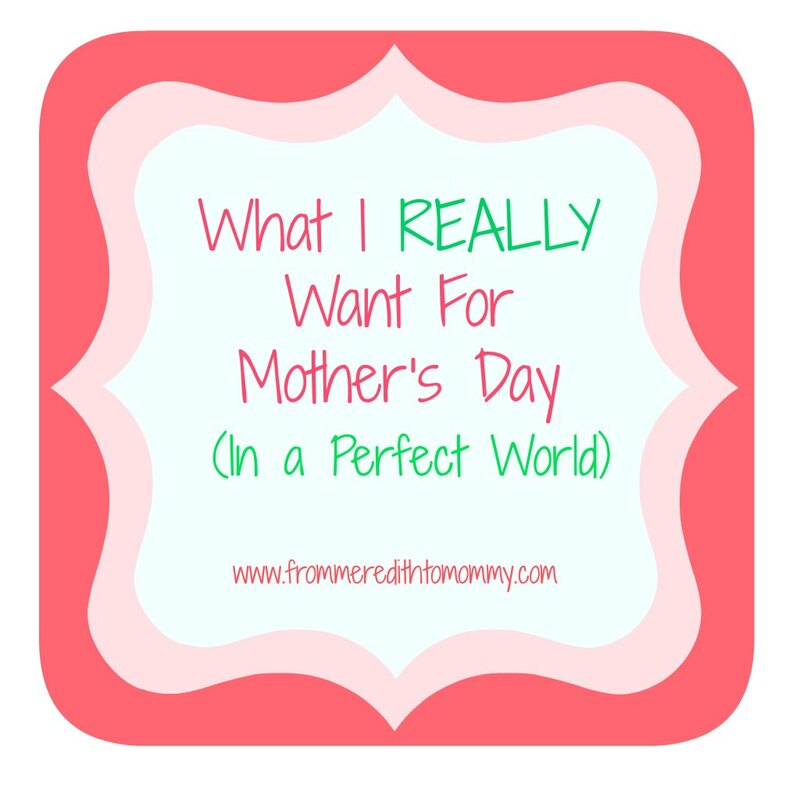 I want a day that's filled with only the good parts of motherhood. Just the good stuff. I want the cute conversation from Madison. I want that feeling of Reagan burrowing into me as she falls asleep. I want to watch two happy girls play. I want a day filled with the moments where your heart swells with love, and pride, and family and you are loving your life. The moments you don't want to end and you want to freeze time. 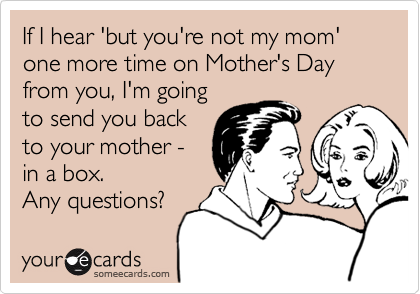 I don't want to take a day off from that part of motherhood. And I don't want to deal with all the parts that make me tired, make me cranky, make me short tempered. I don't want to deal with all those little moments that get irritating. I don't want to deal with crying, whining, or tantrums. I don't want to change six poop diapers in one day from a little girls who doesn't like to stop moving long enough to get a change, and sit in the bathroom making conversation with Madison while she poops, then negotiating with her over wiping and washing hands. I don't want to break up fights over cups, snacks and toys. I don't want to have to figure out what needs to go in the bag for brunch, pack the bag for brunch, and distribute cups, toys, crayons, and snacks while trying to enjoy brunch. I don't want to chase a 14 month old around a non-babyproofed location. I don't want to try and get an almost three year old to end an activity without tantrumming. 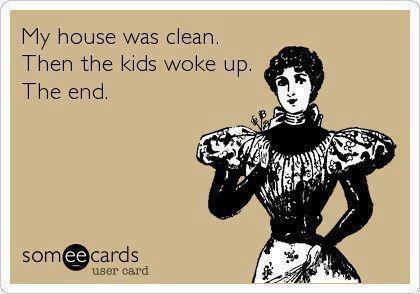 I don't want an entire naptime's cleaning effort destroyed in the first five minutes after wakeup. I don't want to wrangle two kids in and out the car. I don't want to work to get them to sleep. 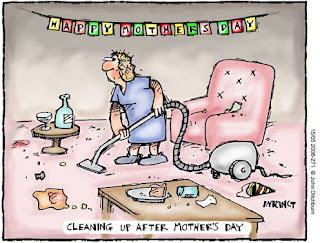 I want a day with none of that frustrating, exhausting stuff, where you feel a lot more like a servant to your offspring, cleaning up and meeting their needs, than a family member. True story: a few days ago I was scrubbing the kitchen floor - literally hands and knees, sponge and bucket, deep clean scrubbing (that I do about once a year) - and Madison came into the kitchen after her nap and said "Mommy! You are just like Cinderella cleaning my castle!". Wow. Way to put me in my place. I mean, I know things work out great for Cinderella, but she didn't tell me I looked ready for the ball. She basically said I looked like a decent maid. But the exhausting daily trials and the good parts go together. 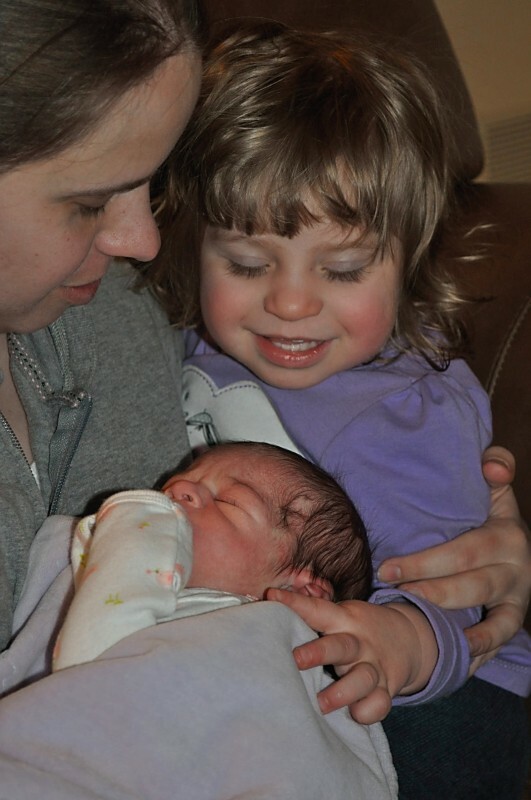 The sweet parts wouldn't feel so sweet if you weren't exhausted by upkeep of two little ones. And you could never talk anyone into dealing with all that frustration if you didn't have the sweet moments to balance it out. I don't know that those days will ever exist. So I guess I'll take brunch, some time to myself, and the luxury of knowing that I can pass a bigger portion of those "don't want" things onto Adam for the day. That sounds pretty perfect to me. I don't want the "mother's day hangover" either. Happy Mother's Day to all the moms who read and follow! Having readers who are not related to me who follow, comment, and share this blog is an awesome gift that keeps giving all year long. No matter where we are, no matter what stage or phase we're in, it is comforting to know that none of us are truly alone!